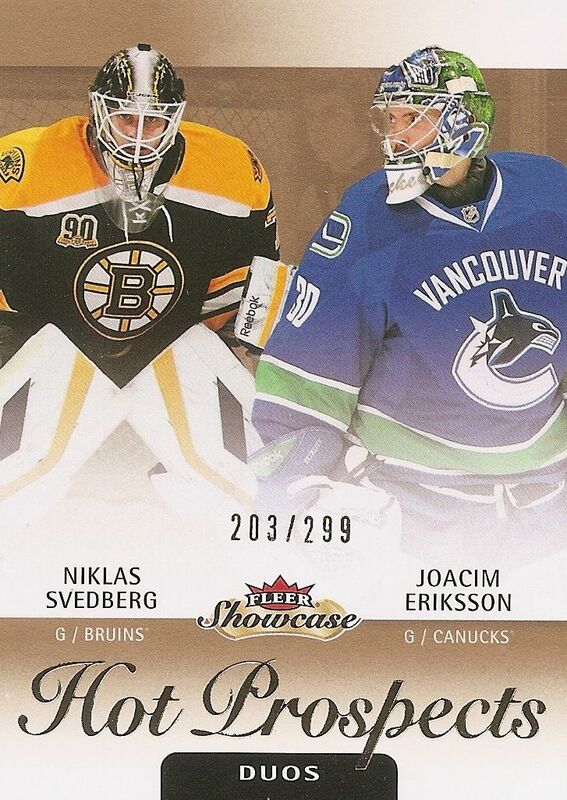 Upper Deck brings back the Fleer brand with the recently released Fleer Showcase Hockey. It's a product that includes many older Fleer favorites in one... sort of a re-branded Fleer Retro. I'm looking forward to seeing what Fleer Showcase brings to the table. Fleer has always been a nostalgic brand for me - hopefully this product will give me some new cards to enjoy for a long time. The Fleer Showcase base card comes on standard card stock with a white and gold toned theme. The elements on the card gives collectors who remember it a sort of Fleer Ultra type feel. To me, the foil last name and gold tones remind me of that brand - and I think that works well for a product called Fleer Showcase. These base cards have a modern look to them, and the colors work well. I wouldn't say that the base cards are plain, but they're not too busy either; it's a design that is well-balanced. I rather enjoy the look of these cards. The one element that is a bit jarring is the team logo. It is rather largely placed within a black box above the foil last name of the player. I feel that the logo could have been done more subtly than this. 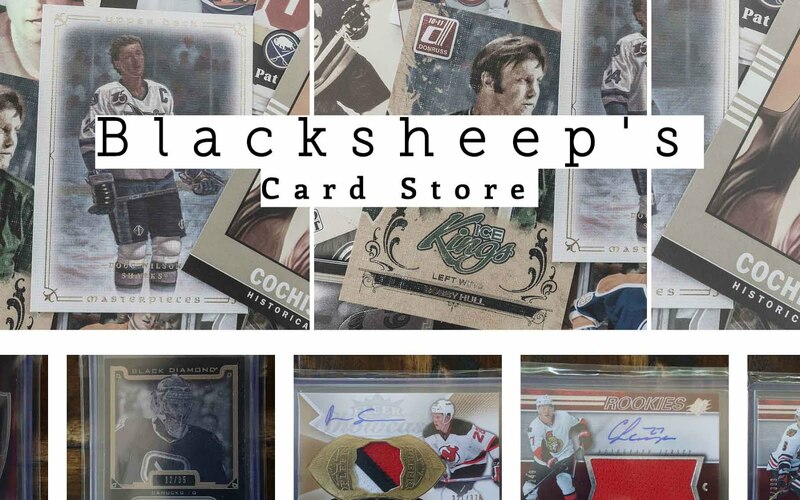 Collectors will find a mix of current NHL players along with NHL stars of the past mixed together in the base set. The back of the base card is in full color with very little left over space. This is what I really enjoy about Upper Deck designs. They fully utilize the entire back, even with a simple three part scheme like the one used here. 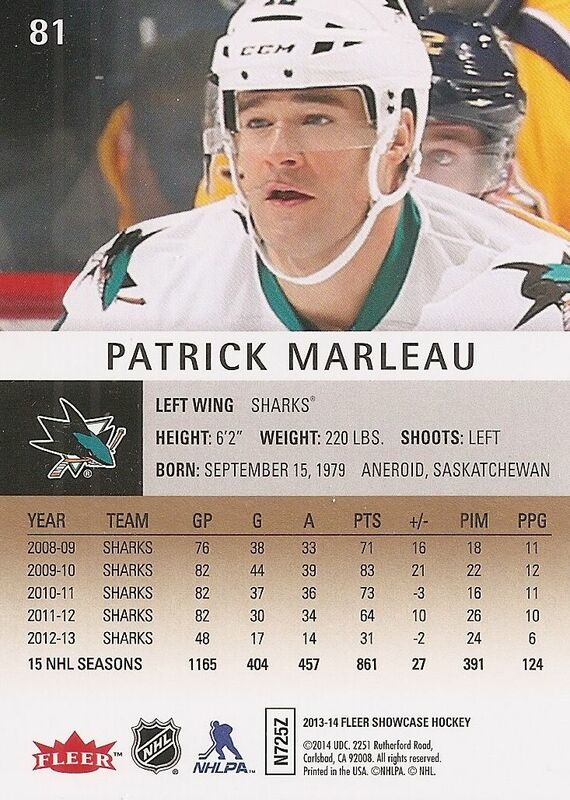 The top portion of the card has a rather large player photo, bigger than most other card brands. The middle section contains the player's vitals, and the third section the player's stats. I would have liked to see a little write-up of the featured player on the card back, but it's not something I miss too terribly. The rookie cards in Fleer Showcase are given the Hot Prospects name. Longtime collectors will remember this name from years back. Interestingly, collectors will find some rookies featured with a partner in these Hot Prospects Dual cards. The gold/white theme is continued here. I am traditionally not a fan of fitting multiple players on a card, and these don't change my mind. Hot Prospects Duals each serial numbered to 299, and there are a total of 13 to be found in the main set. If duals weren't enough, Hot Prospects Trios can also be found in Fleer Showcase. The trios cards obviously feature three players per card. For some reason, I like the trio format better than the dual. I couldn't say why, but I would still prefer to have just one player per card in most circumstances. The trio cards are horizontally oriented and are serial numbered to 399. 15 of these trios are in the main set. Rookie autographed cards are available in Fleer Showcase in two forms. 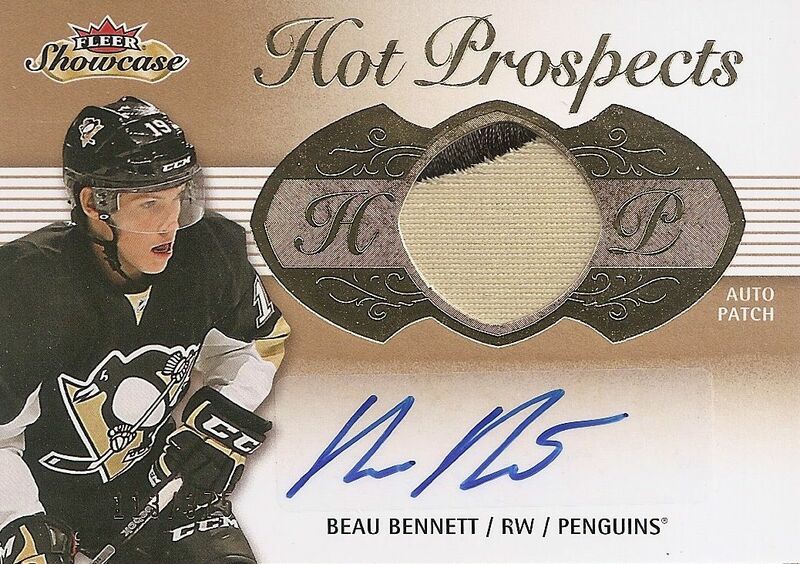 One is a standard autograph card, and the other is in patch autograph form like this Beau Bennett card above. 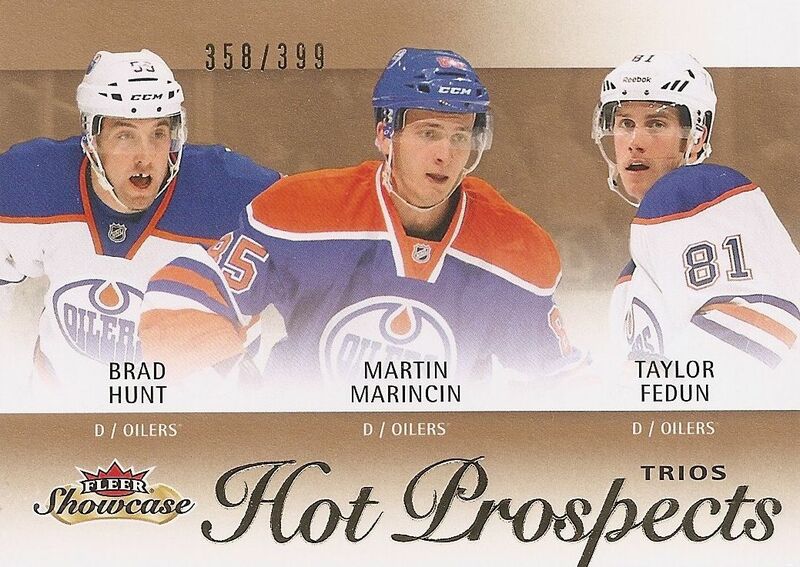 The Hot Prospects patch autograph card look really, really good. The gold and white motif used in the base set is set off even more by the large amount of gold foil used to border the patch piece on the card. There is a classy elegance to these cards that cannot be denied. They are striking cards, and I was impressed the very first time I pulled one of these out of a pack. There are a few downsides to these cards though. They feature sticker autographs, have event-worn memorabilia, and are relatively highly numbered. On a positive note, these same qualities could make collecting these beautiful cards easier. Boxes of Fleer Showcase have 15 packs per box. Collectors can expect to find three hits per box as well as insert cards from all over the spectrum of the Fleer brand. To help ensure that things are fair, Upper Deck has inserted fat decoys into the packs so the Hot Prospect patch autos aren't cherry picked out of new boxes. Does this card look familiar to you? It's a Fleer Ultra base insert from Fleer Showcase. They come on the same card stock as the Showcase base card, and have very similar elements as well. If you were just flipping through the cards, these could be easily passed over. Fleer Ultra was one of the first premium card brands way back in the early nineties. As the years went one, it was regulated down towards the lower-end. These look like what Ultra cards would look like had they not been discontinued. Collectors should pay close attention to the numbering on the back as there are short-printed variations of these cards in the set. Parallel cards can be found of many of the cards in Fleer Showcase. This is a Red Medallion parallel out of the Ultra set. It is completely foiled and is numbered to 99. 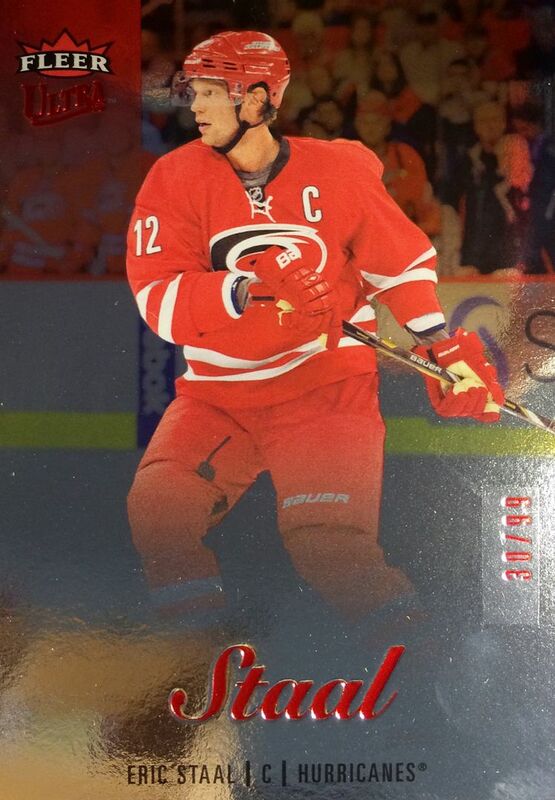 The foil on these cards can be prone to finger prints, but it does look very nice... especially the ice surface. It's almost like a glass mirror on these cards. Another parallel from the Ultra set are these Platinum Medallion cards. These cards have a speckled foil that was used on a few sets back in the day. This process really adds pop to the card, and it's a look that always impresses visually. The Platinum Medallion cards are limited to just 25. Metal Universe cards also find they way into Fleer Showcase. 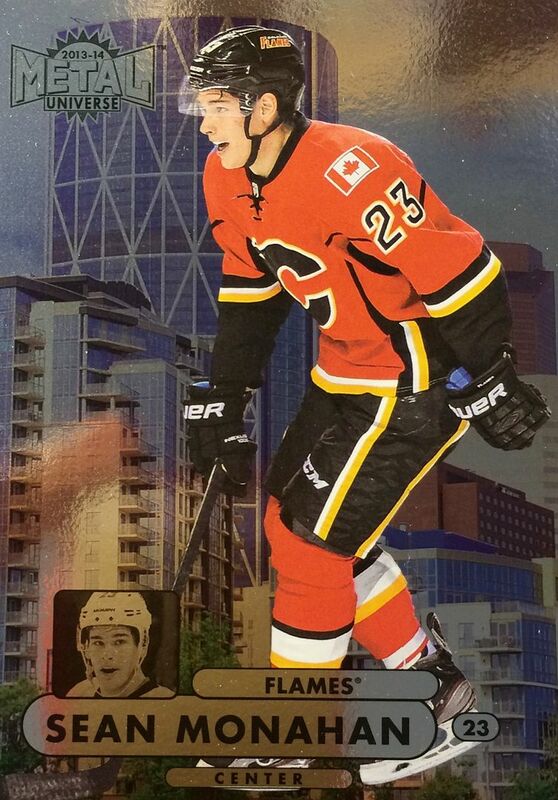 These popular foil cards depict the player atop a background of the city they play for. Collectors will find quite a few of these cards per box. The common Metal cards will be easy to get a hold of, but Upper Deck has wisely also included the immensely popular Precious Metal Gem variations of these as well. Many collectors will be on the hunt for those. 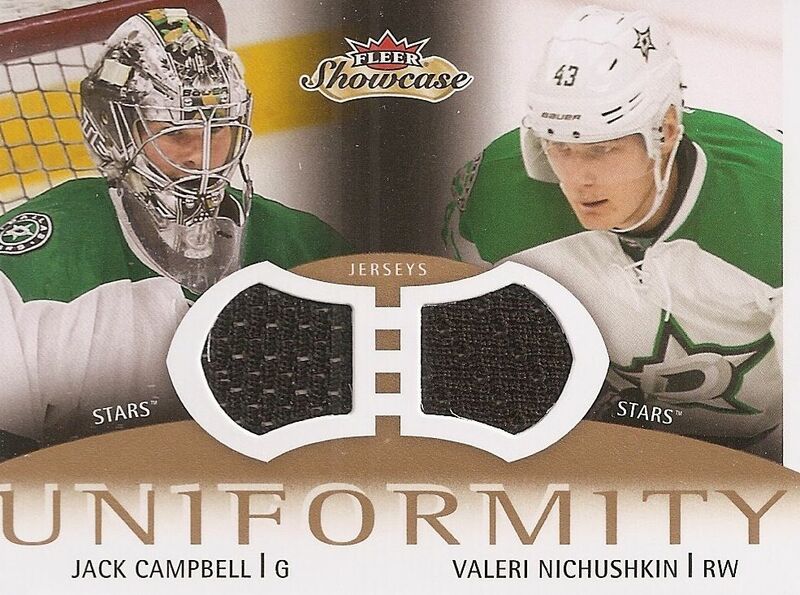 My only other hit besides the two Hot Prospects Rookie Auto Patches (my other one was a redemption of Drew Shore) from my box was this Uniformity dual jersey of Jack Campbell and Valeri Nichushin. It's a pretty plain card compared to many of the other cards available in the set. With so many nicely designed cards here, I would have liked to see a bit more from these. Fleer Showcase has much more to offer than what I got in my box. Though I pulled cards from Ultra and Metal Universe, I didn't get any from the Skybox Premium brand. Getting two Rookie Patch Autos was very nice though, and seems to a pretty common occurrence too. Fleer Showcase is a fun product that brings in elements from the old Fleer brands. Unlike Fleer Retro, Showcase contains cards that feature memorabilia, and that will definitely appeal to many collectors. The Rookie Patch Auto cards are especially nice looking and desirable. I'm sure that collectors will want to get their hands on those as well as their rare parallel versions. Boxes of Showcase run slightly over $100. They go for about $125 or so, so Showcase falls in the slightly higher than mid-level product... and you only get three hits per box. But many boxes, like I said, contain two Rookie Patch Auto cards, so that might be worth it to some collectors. I would recommend Fleer Showcase to those who are curious about the product. 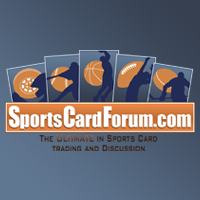 It's a great way to bundle cards from different Fleer brands and give collectors the best of what they have to offer. I really enjoyed opening the product - Upper Deck has a very nice product here! BIG fan of this set. I saw a Seguin PMG Green out of /5 pulled elsewhere - sweet card! Nice box! 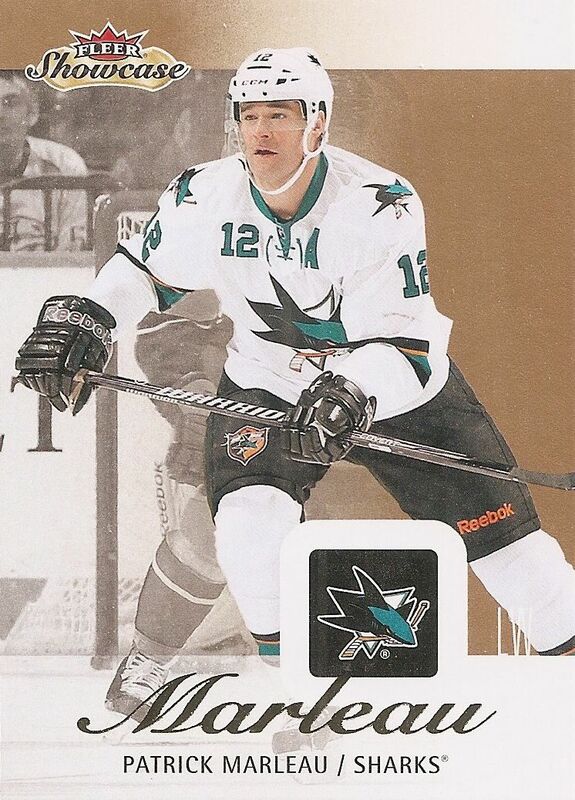 I really like how the cards look somewhat simplistic compared to the modern hockey cards. Great review. 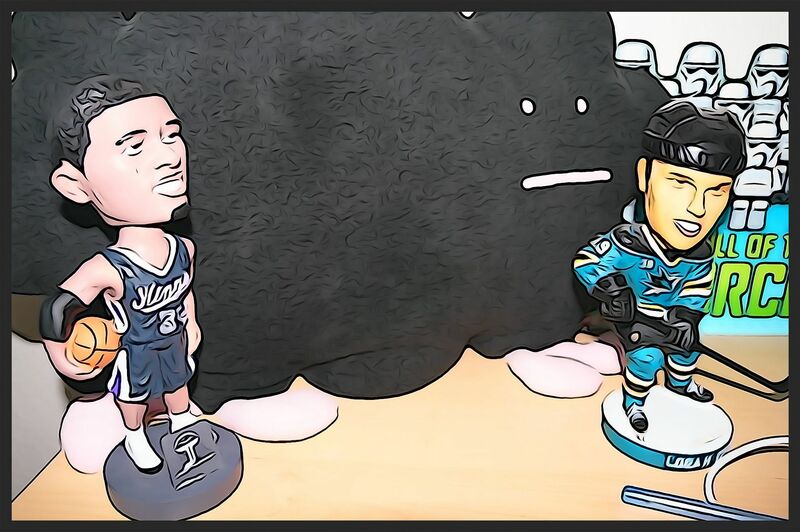 Awesome break, lets go Sharks! I opened one pack at my LCS and hit an austin watson and seth jones dual uniformity jersey card. hi there, you won my contest! please PM your full name and address and i'll send you the card! Pretty good! Hopefully there will be more of these types of cards in the near future! It looks like a really solid product. Has some nice inserts and some really cool parallels. The thing I really like is the look of the rookie patch auto's. In my opinion best product of the year, great design on the inserts and rookies. + The product is different than many others today, in a good way. + The Hot Prospects patch/auto cards looks very good. - The fact that rookies are included in the insert sets and legends are included in the base sets. Rookies should just have their rookie cards during their rookie seasons, and legends should in my opinion have their own insert set instead. 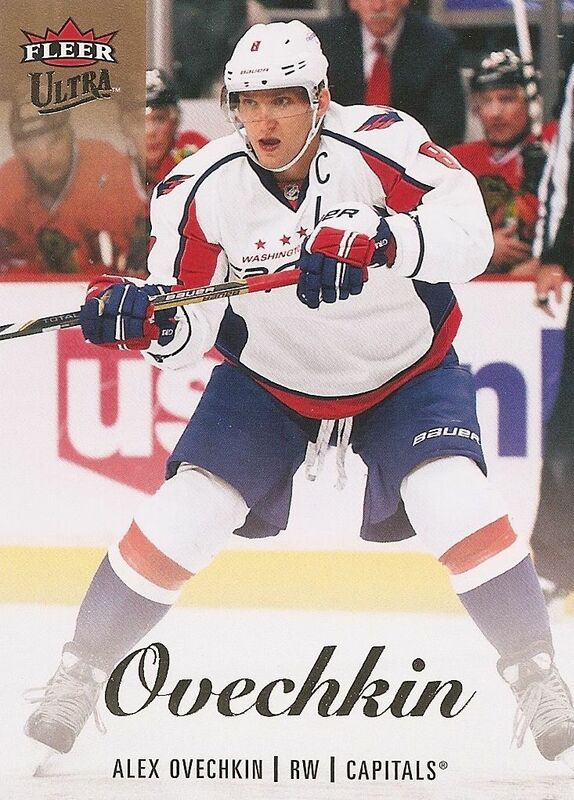 - I know there's a lot of rookies this hockey card season, but I still doesn't like cards with multiple players on them. It would have been better with two or three extra single player rookie cards in each box instead. The base cards look pretty sweet and you got a pretty decent amount of hits! Nice Bennett patch auto! Sick looking cards. Can't wait to break into a box of it. Upper Deck > Panini. Love it... Looks freakin AWESOME! I like how the inserts and parallers look like but the base cards don´t work for me. 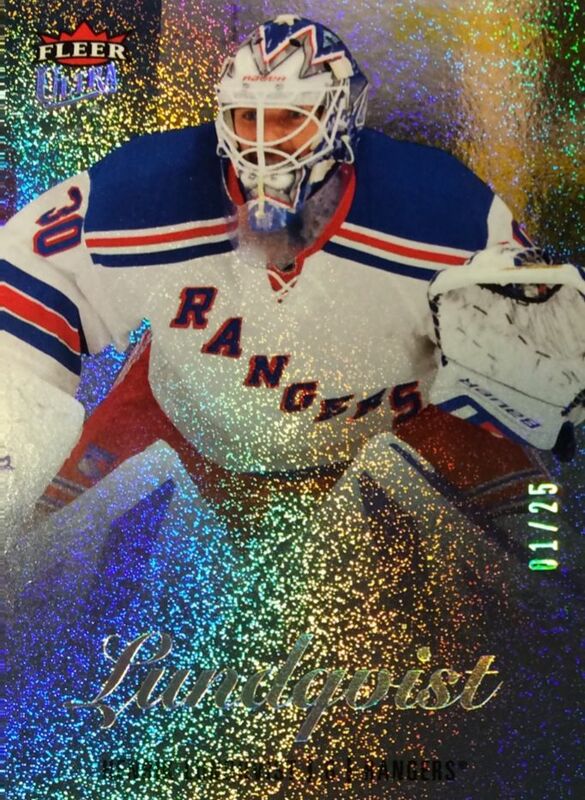 But as said, metal universe cards, Lundqvist and Staal are very nice. Really love the cards. The design of them is great.